Have you ever seen a picture or a video of another girl's makeup collection and been like, "Uh, what do you need all those brushes for?...How do you know which one to use?....Should I be using makeup brushes?" I know I have. I used to apply my foundation with my fingers. Gasp! I used to use the little eyeshadow applicator that came with the product in the package. Gasp! I used to use the smudge stick on the other side of the eyeliner! Gasp! I was such an amatuer. No really, it is perfectly fine if you do the three things I mentioned above. Do whatever works for you! But, I thought I would give you my two cents on using makeup brushes to apply your makeup in case you are interested. I feel like I have tried every brush, sponge, or technique one could think of. I remember when MAC brushes were all the craze. To me, they were always over priced and boring. I have tried the brushes you buy at Walgreens. The hair just falls out all over your face...it's annoying. Then I discovered Real Techniques. If you haven't heard of them, they were basically discovered by a "YouTuber" named Samantha Chapman. 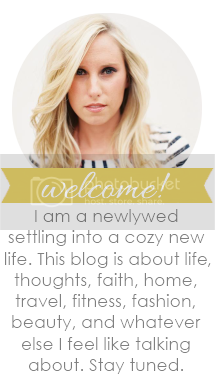 (So cliche, right?... a YouTube beauty guru with her own makeup brush line.) I was skeptical at first, too. But seriously, these things are amazing. 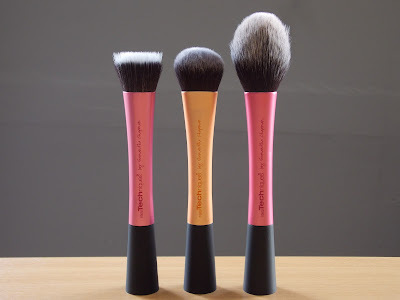 They are sturdy, affordable and they have every brush you could possibly need. See picture below. Deluxe Crease Brush: I don't use this brush in the crease of my eyes because I have smaller, deep set eyes. I do, however, love this brush for concealing under my eyes and around my nose with creamy concealer. Brow Brush: Great for exactly what it is called. Filling in your brows. Accent Brush: This brush is great for highlighting the inner corner of my eyes to make me look more "awake". Expert Face Brush: I use this to apply my liquid foundation. I apply it in circular motions until I feel like I have good coverage. I LOVE this brush. It is probably my favorite. Blush Brush: I apply my blush with this brush. (Say that 5 times really fast!) I also like to use it to set my foundation with powder. 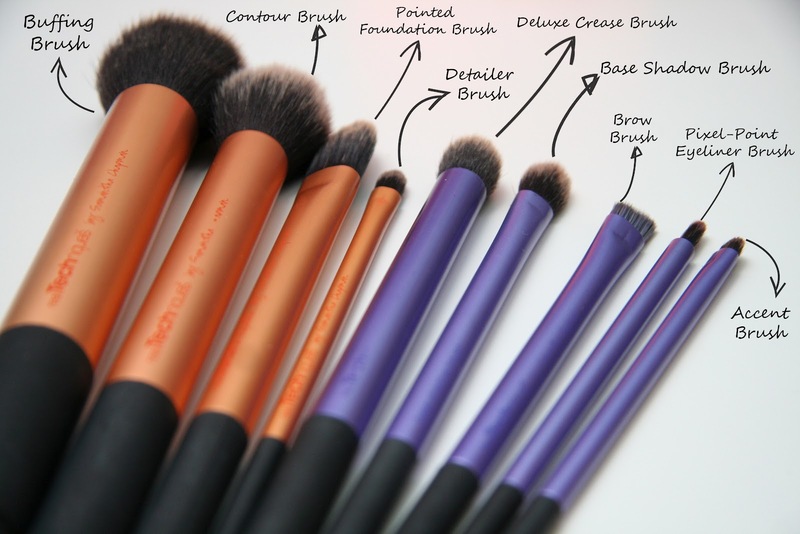 Finally, the brush above is called the Crease Brush. 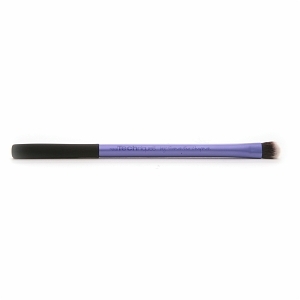 This brush is perfect for really getting into the crease of your eye and shading. This is probably my second favorite brush. P.S. So glad you're back!